Remember earlier in the week when I said that predicting the Comeback Player of the Year Award was one of the hardest to predict out of all the awards around the game? Well if that is one of the hardest to predict the AL and NL Rookie of the Year Award has to be the hardest one to predict year in and year out. Who is to say what prospects will get the call up, what players will stay healthy, and who will get enough at-bats or opportunities to even prove themselves on a yearly basis? The Yankees had a Rookie of the Year Award winner in Aaron Judge in 2017, could they do it again in 2018? Honestly, no. I don’t think the Yankees will have a Rookie of the Year once again here in 2018. Why? It isn’t because I don’t like or don’t believe in the lot of Miguel Andujar, Tyler Wade, Gleyber Torres and others, but I do believe that with the acquisitions of both Neil Walker and Brandon Drury that there just won’t be enough every day opportunities to be had for those three like there was for Judge last season. Those three players could be great, but they won’t get to play in the 155 games and take the 542 at-bats this season that Judge did in 2017. With that in mind I am going to stay within the American League East Division and showcase one of the Tampa Bay Rays top prospects that will NOT miss time this season due to Tommy John surgery, Willy Adames. Adames is a shortstop for the Rays and one that is knocking on the door to the Major Leagues after making the All-Star Game in three straight Minor League seasons. Adames is starting to add power to his repertoire with double-digit home run campaigns and 30 or more doubles in two straight seasons, but more importantly there should be plenty of opportunities and time to grow for Adames on a rebuilding Tampa Bay squad. The National League seems like kind of an easy one in my opinion with the top prospect in all of baseball ready to take over on a team that will presumably have little to play for in 2018. I am talking about the Atlanta Braves and their top prospect, Ronald Acuna. It is important that a Rookie of the Year sometimes play on a team that does not intend or expect to compete that coming season, that means the player will have a longer leash and less expectations dropped on his shoulders in the upcoming season. 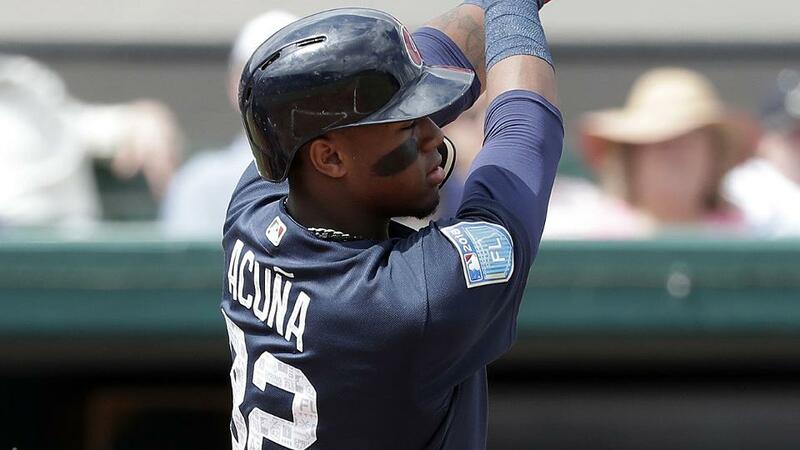 Acuna is a special talent and while he may not start the season with the Braves after being demoted to a Minor League camp, it doesn’t mean he will stay there long. Not when the Braves can delay his free agency by a season by keeping him in Triple-A for three weeks or a month before unleashing him on the rest of the league. Baseball is a business after all, first and foremost.